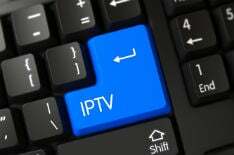 Two men from the north of England who sold IPTV-enabled devices to pubs and clubs have been jailed for 4.5 years each. John Dodds and Jason Richards made £1.5m from the scheme which saw them supplying the devices and associated service for less than £200 per month. Both were convicted of fraud offenses following a private prosecution by the Premier League.